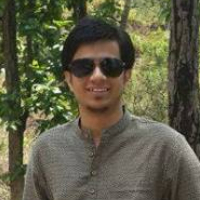 Shaurya Joshi did his schooling from St Josephs Academy, Dehradun. He then did his Bachelors in Science in Marine Engineering from Tolani Maritime Institute. He got a campus placement in Nortrans. He worked there for few years. He is 3rd Assistant Engineer at Zodiac Maritime. "I did my schooling from St Josephs Academy, Dehradun. I then did Bachelors in Science in Marine Engineering from Tolani Maritime Institute. I got a campus placement in Nortrans. I worked there for few years. I am 3rd Assistant Engineer at Zodiac Maritime."